Tired of cold spots in your comfy home? Don’t call the ghost hunters just yet; it’s probably not haunted. It’s more likely you need a duct booster fan because you’ve got poor distribution from your heating, ventilation, and air conditioning (HVAC) system. Most standard homes only come with one zone of cooling and heating. Upgraded two-story homes may have two zones, but even then you can still get hot and cold spots. Most significantly, top and bottom floors can vary widely in temperatures with poor distribution. This can be particularly true of older homes, and design is part of the problem. Many homeowners have replaced the HVAC units in their older homes, but not the duct configuration. Ducts may twist and turn where they’ve been added to previously unconditioned rooms or spaces. 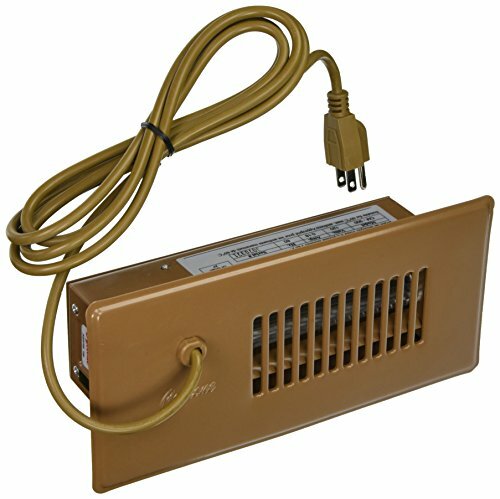 What Is a Duct Booster Fan? A duct booster fan is an additional fan within the ductwork that “boosts” the airflow through your ducts. They come in several configurations and styles. While they’re not a permanent solution to the design problem, they can provide an inexpensive bandage to solve immediate issues of comfort. 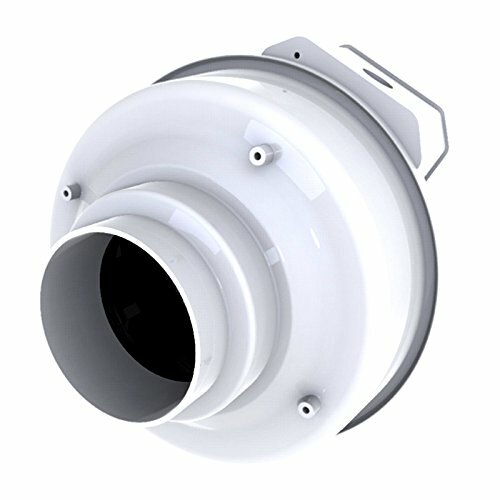 What Type of Duct Booster Fan Can I Use? The type of duct fan you may need depends on the application. There are basically two types used: inline duct fans and register fans. 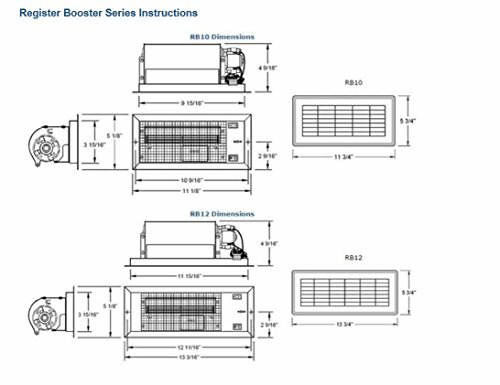 Install inline duct booster fans along the duct line to increase airflow through the system. This installation requires you expose and replace a section or sections of the ductwork. You can try it yourself or hire a technician, depending on the unit. These fans come in a range of types. While some are plug-in units, others require hardwiring into the existing A/C electrical system. Hardwired booster fans with relays to the control system need an electrician. Home renovation expert Mike Holmes suggests their use be restricted to long furnace ductwork runs. For multistory home, he recommends adding another zone for each floor. 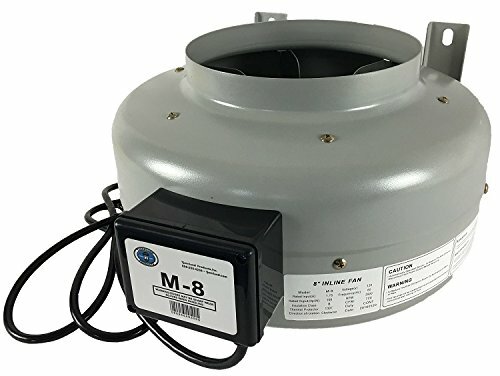 This heavy-duty, high CFM inline booster fan provides a great deal of airflow and connects easily to flex duct. 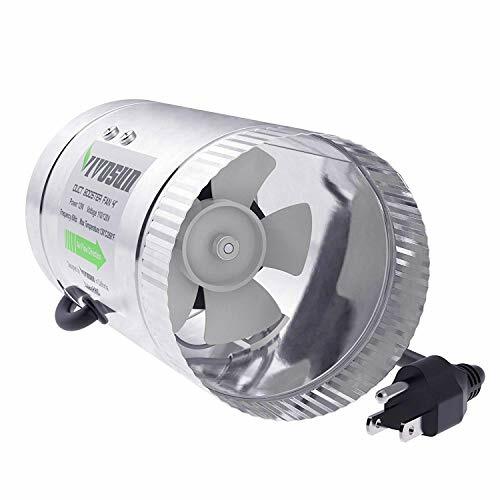 Specially designed for high heat and humidity ventilation, it boasts low noise and low power use. Fan speed is controllable with a speed control device, sold separately. Costs about $105 to $110, and comes in 6- and 8-inch diameter. The 6-inch diameter provides 460 cubic feet per minute (CFM), and the 8-inch provides 670 CFM. Both are powered by a 120V standard grounded plug. This 6-inch diameter inline duct booster fan provides 351 CFM at only 32 dBa (quieter than a country road). Perfect for adding cooling to media and server rooms, it comes with an intelligent control system for programming temperature and fan speed. 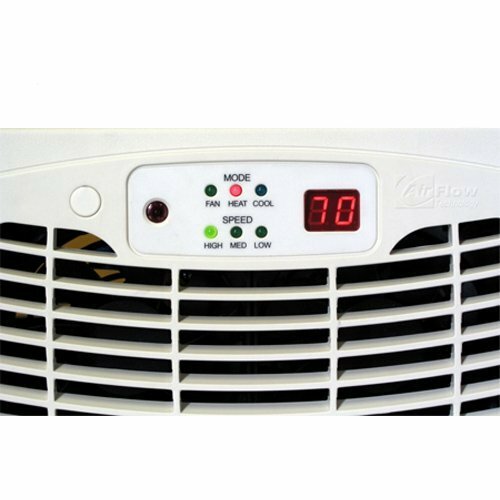 The onboard processor responds to temperature readings to keep your equipment and home cool at all times. Cost is $130. This commercial grade booster fan moves 420 CFM, at 50 dBa. No louder than an easy conversation at home. Easy to install in 8-inch flex duct with standard grounded power cord. Aluminum fan blades and energy efficient. It’s super lightweight and fluted on both ends so you can install it anywhere along your duct line. Cost is $27. Your AC registers can be boosted with a simple register booster fan. 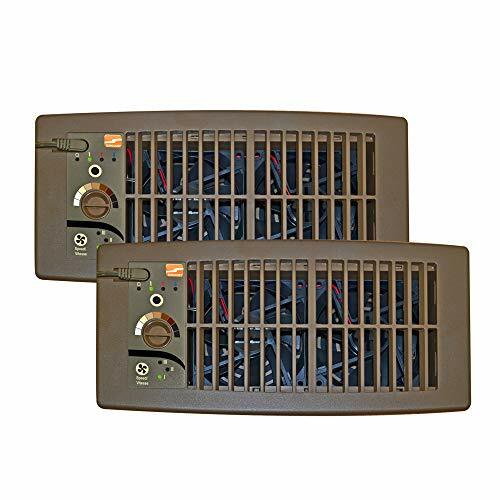 For about $3-$50, one of these plug-in units can replace your usual registers and grills. 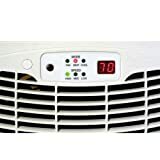 The internal fan helps draw air from the duct and into the room, increasing the pressure and, of course, the heating and cooling to the space you desire. Register fans might not solve the problem of temperature differentials between floors in a multistory home. They might help pull air in a small, one story home, however. Luckily, they’re inexpensive enough and easy enough to install to make experimentation worthwhile. Adding 75 CFM to the room, the Tjernlund RB10 duct booster fan plugs into a standard 120V wall socket. The blower wheel is screened for safety and is 50 percent quieter than prop-style fans. Easy to install: just take out the existing register and put the Tjernlund din its place. Comes in 4×10, 4×12, and 6×12 inch configurations. Costs between $90 and $130. Boasting of a 100 CFM boost, this register booster fan sits on top of the vent and turns on automatically when it senses air flow. Rather than replacing your existing register, you mount it over the grill. It plugs into the nearest wall outlet and covers up to a 6×12 inch register. Fully automatic, just plug and go. Costs about $35. Another Tjerlund product, this one completely automatic. The unit’s sensor controls the boost, although you can override it manually. Installs within the register boot, fitting a 3×10 or 4×10 inch size. Costs about $60. This automatic model fits a 3×10 or 4×10 inch boot. Register fan runs both on manual and automatic. It features a grounded plug (3-prong) and provides a 45 CFM boost of airflow. Costs about $37. This higher-end model features a remote control and three-speed fan. Like most register fans, just replace your regular grill with this unit for a boost. Fits standard 6×10 or 6×12 inch register sizes. The CFM boost varies because of the controllable fan speed. Costs about $85. Vent booster fans draw air out of the home. Rather than boosting the circulation of conditioned air throughout the home, they vent air to the outside. Generally used for dryer ductwork, they can also boost air out of hot attics or dryer vents or humidity and odors out of bathrooms. This lightweight plastic inline fan is perfect for dryer vent ducting or bath fans. Moves up to 122 CFM and plugs in after attachment to flex duct. Speed control provided through solid state controller, with thermal overload protection. Fan is rated for up to 140 degrees Fahrenheit. Even better, it’s Energy Star rated, which means less added to your monthly electric bill. Costs about $120. This economical and lightweight fan provides 100 CFM of boost, making it a great low-cost choice for bath fan boosting and dryer vents. Balanced blades and permanently lubricated bearings means little to no maintenance. Connects to flex duct with fluting on both sides and comes with standard 5.5-foot power cord. Costs about $20. Depending on the size and configuration of your home, the issue with vent boosters is whether you need one or not. If vent lines are short to the exhaust port outside the home, vent booster fans are rarely required. However, if you’re venting a dryer duct or bath fan through several floors or even several bends on a one level home, a booster fan may be a good idea to remove unwanted heat and humidity from your house. 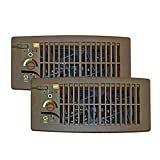 Will a Duct Booster Fan Help Me? You can stuff your whole duct layout full of booster fans, but if your HVAC unit is undersized for your home, they’ll do very little good. An oversized unit is just as bad as an undersized unit. An oversized unit will quickly chill the air and shut off before cooling the furnishings and fixtures. These retain heat and moisture, and will release both into the air. Your unit will constantly stop and start, releasing humidity each time. An undersized unit will just constantly run, burning electricity and never reaching comfort levels. Have a professional check the condition of your HVAC units and whether or not they’re right for your home as it currently stands. Homeowners can easily asses the condition of their home’s ductwork as long as there’s access to them. An inline fan isn’t going to help if your ducts are leaking — or even worse — disconnected. It’s not uncommon for flex duct, in particular, to get moved or damaged during over time. Once you’re positive duct is clean, unobstructed, and there are no leaks or disconnects, insulating them can increase the quality of conditioned air to rooms that seem under-served by the system. Additionally, airflow in back rooms away from return registers may be blocked. Most homes are designed with undercuts in interior doors to bathrooms and bedrooms. However, if these undercuts are blocked or nonexistent, airflow to and from the room is reduced. Make sure that undercuts are unblocked. And if your interior doors have no undercuts, consider remedying the situation. You may find it solves the problem. 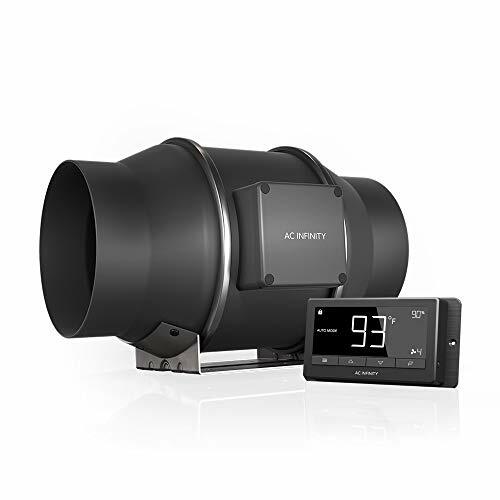 Once you’ve checked the units and the ductwork and still decide to add an inline duct fan or two to improve air distribution, you’ll find a number of units on the market like those above to install. Watch the video below to get an overview of the installation so you’ll know what to expect. Will a Duct Booster Fan Solve Your HVAC Problem? The consensus with professionals is that duct booster fans aren’t worth the money. Most claim you’ll be better off addressing the root issue of the problem: usually incorrectly sized units or poor duct design. Unfortunately, these are four- to five- figure solutions. A duct booster fan is, at most, a three-figure solution. Also, a small inline dryer vent or bath vent fan – not tied into your overall house systems – can reduce humidity and bad odors. Humidity does more than cause discomfort. It can breed mold, which affects your health as well as your dwelling and its contents. What it boils down to, for most people, is cost. In the long run, upgrading your system is the best option. Meanwhile, duct booster fans are an inexpensive stop-gap measure that could solve your cold spot problem.